A refreshing look at climate change in America – what are we doing about it? A refreshing, well-balanced look at climate change in America. You don’t have to be a climate scientist these days to know that the climate has problems. You just have to step outside. The United States is now enduring its warmest year on record…Meanwhile, the country often seems to be moving further away from doing something about climate change, with the issue having all but fallen out of the national debate. Behind the scenes, however, a somewhat different story is starting to emerge — one that offers reason for optimism to anyone worried about the planet. The world’s largest economies may now be in the process of creating a climate-change response that does not depend on the politically painful process of raising the price of dirty energy. The response is not guaranteed to work, given the scale of the problem. But the early successes have been notable. Over the last several years, the governments of the United States, Europe and China have spent hundreds of billions of dollars on clean-energy research and deployment. And despite some high-profile flops, like ethanol and Solyndra, the investments seem to be succeeding more than they are failing. 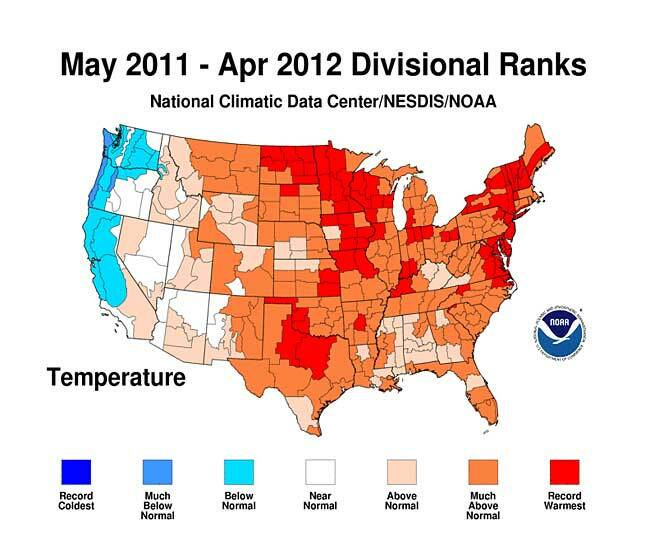 Continue reading A refreshing look at climate change in America – what are we doing about it? Posted on July 24, 2012 Author robotchampionCategories defaultTags change, chiina, china, clean, climate, cost, dirty, economy, ethanol, europe, global warming, investment, price, problems, records, solar, solyndra, united states, warmest, wind, yearLeave a comment on A refreshing look at climate change in America – what are we doing about it?